Residents have caught hundreds of wild boars roaming the towns near Fukushima, where a 9.0 magnitude earthquake and tsunami had caused a meltdown at Fukushima Daiichi Nuclear Power Plant in 2011. On March 9, local officials ordered people to evacuate from the surrounding four towns. The officials originally planned to lift the evacuation orders at the end of March, but then wild boars began to roam into the area. The boars ate plants that had been contaminated with radioactive elements from the disaster site. As a result, local authorities have ordered hunters to catch and kill these potentially dangerous animals. 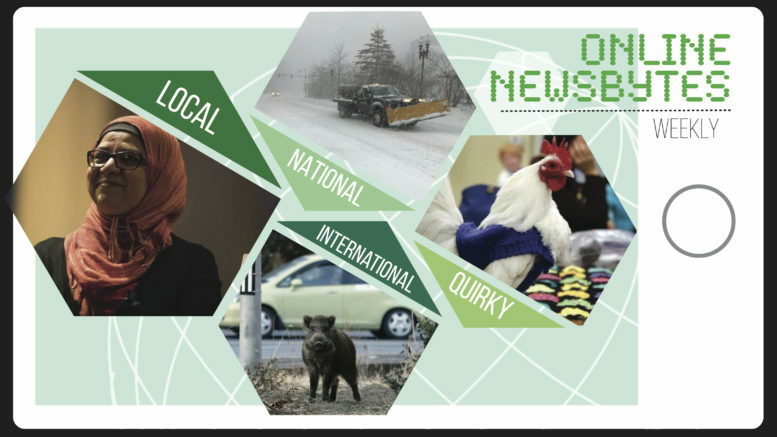 Be the first to comment on "Newsbytes: Woman of the Year, Northeast blizzards, Boars in Japan, Chicken Sweaters"